While on a recent trip to Cape Ann, MA – Gloucester, Rockport, Essex and Ipswich I tasted so many delicious seafood offerings – all from local waters. I so wanted to pack some fish on ice and drive home – yet was stopping a day in Boston. 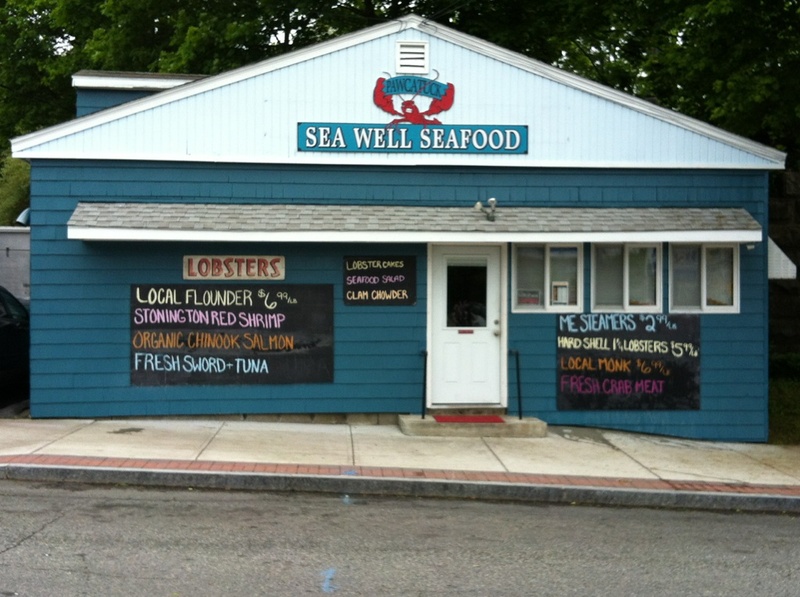 So – making my way west on 95 – I stopped in Mystic the day traveling home to CT.
Sea Well Seafood sells most of what is in their case from local fisherman. A pure delight! And – reasonably priced. 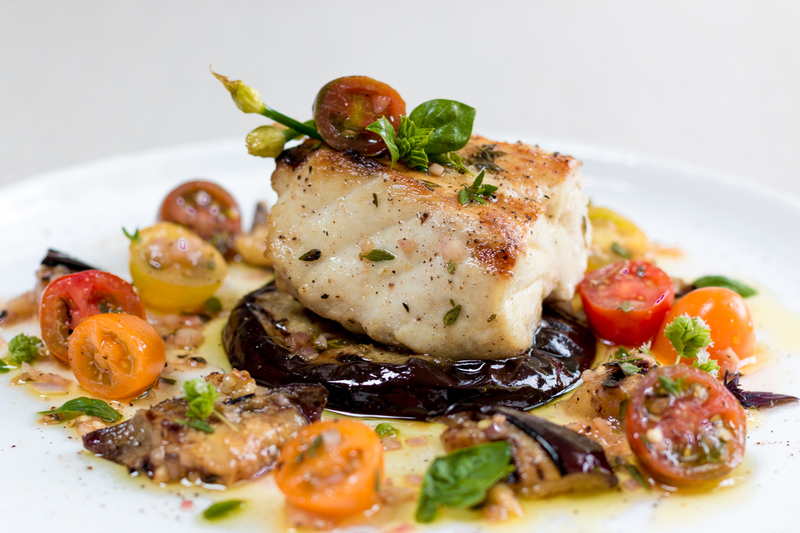 I chose Sea bass to test a recipe because of its freshness… and I loved the thick, meaty cut. In Boston, the Haymarket was bustling with energy, shoppers and dozens of sellers of produce. 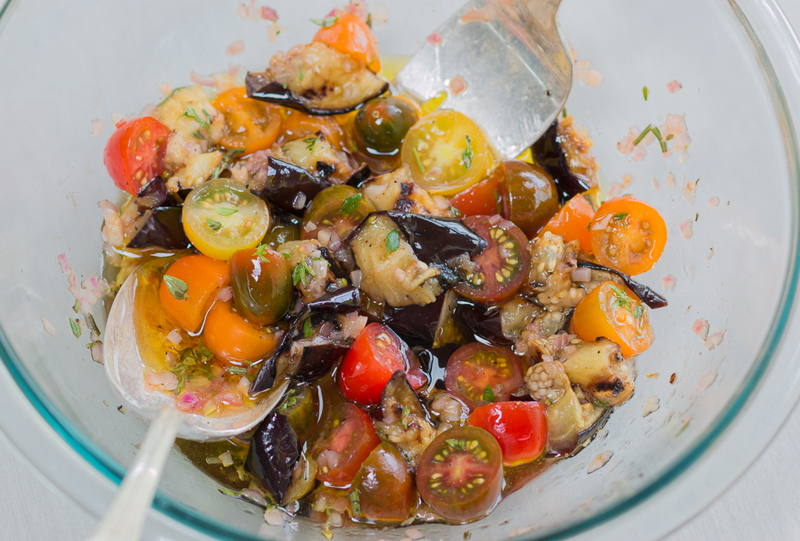 Some fresher than others… I walked a while and bought eggplant and lovely colorful cherry tomatoes. My herb garden is doing exceptionally well due to some good sun rays and a decent amount of rain. I knew I could concoct a terrific Summer recipe with these ingredients. 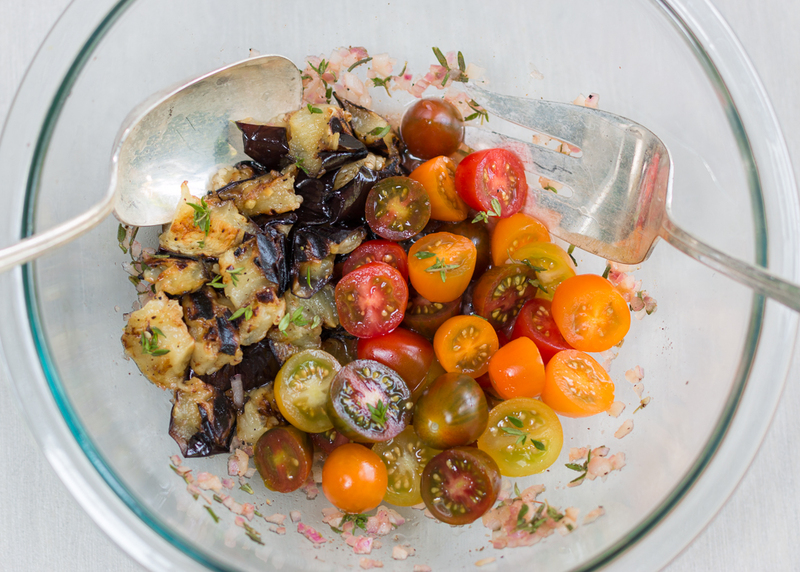 This recipe has a Mediterranean feel, lack of dairy and loaded with local vegetables. 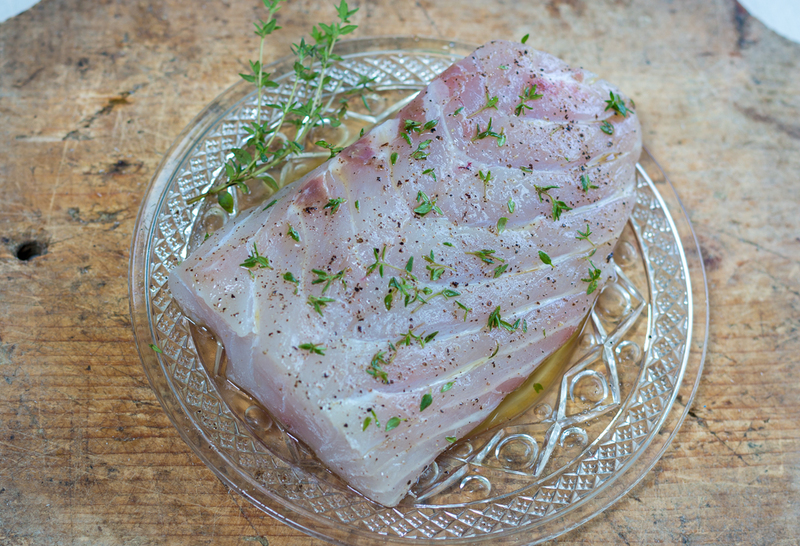 To make the recipe ~ Sea Bass is coated in extra virgin olive oil, salt & pepper and fresh Thyme leaves. For the “sauce” I like to cook garlic in extra virgin olive oil – – slowly to soften the cloves, and enhance the flavor of the oil. 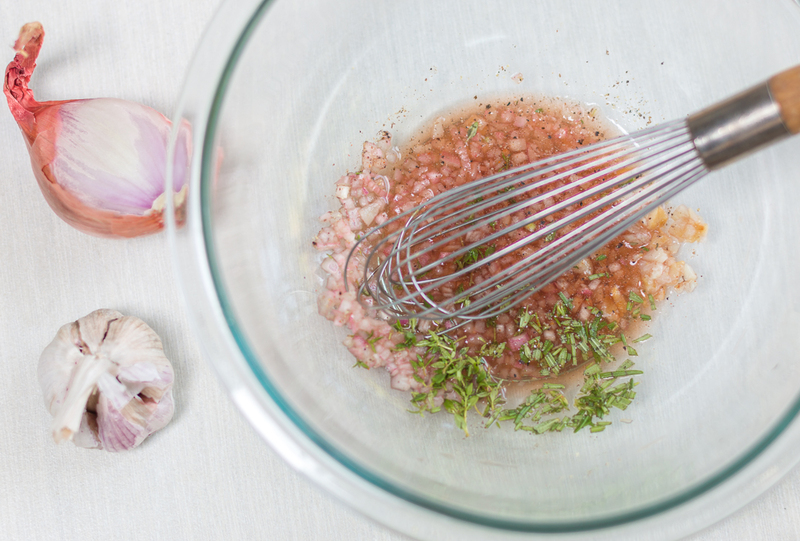 The softened garlic is minced and added to shallots, red wine vinegar, seasonings and freshly cut herbs ~ a base Vinaigrette. 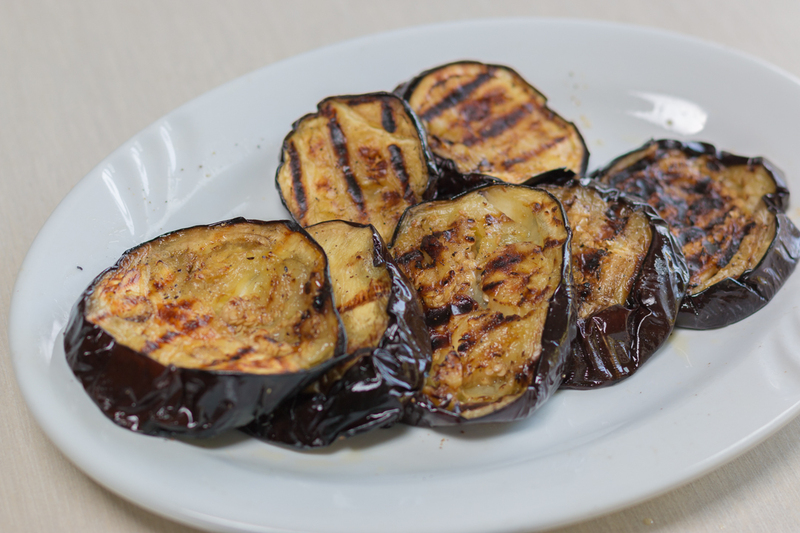 Tastes amazing when allowed to sit for a bit, so the flavors meld – eggplant always soaks up a sauce. 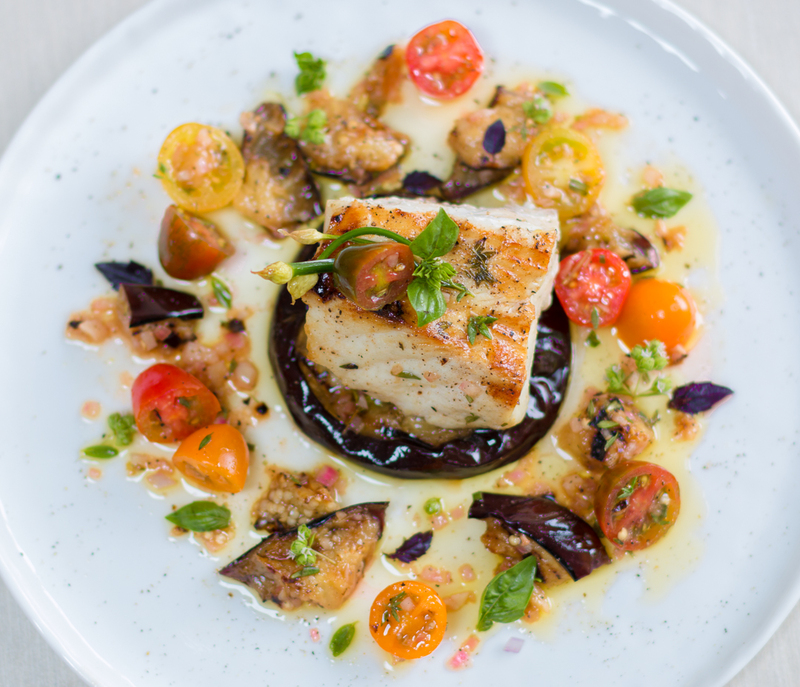 Plate the Sea Bass and pour the chunky sauce all around.. or on top. Garnish with some fresh herb sprigs – I think basil leaves are nice too.